This pamphlet states that it was published in London in 1676 for an anonymous B.H. 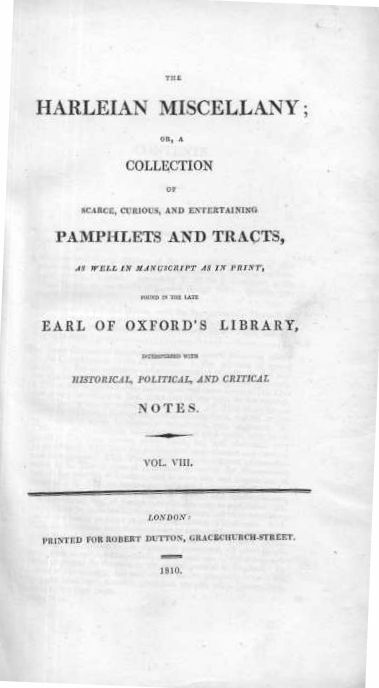 It was included in "The Harleian Miscellany", a collection of rare tracts from the library of the Earl of Oxford. The contents are a fairly generic attack on Muggleton, with a particular complaint that Muggletonianism was popular as it offered "the easiest way to heaven" and claming that Muggleton would recant his curses when under threat. The pamphlet also claims that Muggleton was born in Chippenham near Bristol, perhaps this seemingly erroneous claim should colour our view of the pamphlets contents.